We care about our customers, and when it comes to biting and stinging insects, we will be there for you when needed, seven days a week, twenty-four hours daily. We are licensed and insured for Pest and rodent services in Colorado. 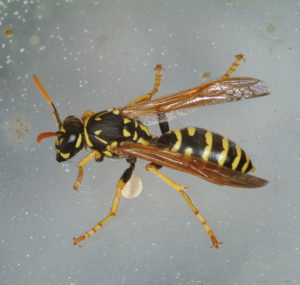 Yellow Jacket pest control and all other biting and stinging insect are controlled by Why-U-Buggin by using pest control techniques that are safe for our customers and our technicians.We are a Colorado Springs pest control company servicing Colorado Springs, Fountain, Security, Widefield, Monument, Palmer Lake, Falcon, Black Forest, Ellicott, Calhan, Peyton, Elbert, Pueblo and Pueblo West. 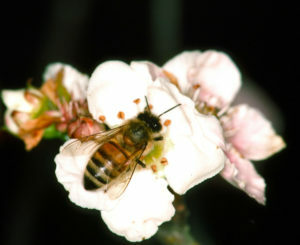 Honey Bees, living with up to forty thousand workers or more, are social bees. They inadvertently pollinate flowers and plants to produce fruit by collecting nectar and pollen from plants. They also produce honeycomb and honey from the wax they secrete. If their territory’s threatened these normally non-aggressive bees will sting. Why-U-Buggin Pest Control Colorado Springs, rids your property of these’s bees to prevent damage that the nest can cause as the pure weight of the nest along with forty-thousand workers and up can damage the structural elements of your chimneys and roofs. Colorado Springs pest control companies prices vary when it comes to bee control; Why-U-Buggin has the most affordable price backed by a one-hundred percent guarantee. Bald-Face Hornets are not hornets at all; they are aerial yellow jackets. They construct paper nest from wood they harvested from logs and trees. Hornets will aggressively attack and sting anybody threatening or disturbing their nest. These hornet’s diets usually consist of other parts of bees and insects. When dealing with hornets and other biting and stinging pest, we use full body protective gear to keep from getting attacked. 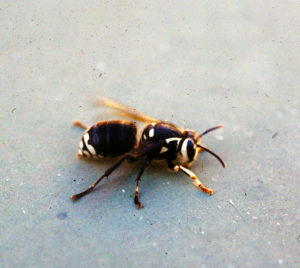 Yellow Jacket pest control and hornet pest control are both handled the same way, eradicating the insect and destroying the nest. Why-U-Buggin Pest Control is affordable yet we use only the best pest control products available. 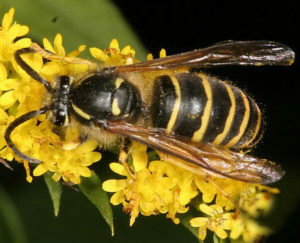 Yellow Jackets are very social insects that live in colonies containing thousands of individuals. Colonies start in the Spring by the queen and midsummer, a colony located near the house can become a nuisance. They build their nest underground and unknowingly a homeowner mowing can disturb their nest even from a distance causing hundreds or thousands of Yellow Jackets to come pouring out, ready to defend their territories. You want to avoid their nests as these insects can punch a powerful sting and can drag it across you multiple times inflicting severe pain. Yellow Jacket Pest Control is the call that Why-U-Buggin Pest Control receives the most when it comes to stinging and biting insects. Paper Wasp are known to be very aggressive. They build their nest from wood fibers, close to human dwellings. We come into contact with these insects a lot and the natural defense would be to swat at the wasp; however, this would only anger it, and will send pheromones to the workers that it is time to protect their nest. Call Why-U-Buggin Pest Control at (719) 310-4200 and let a professional pest control company rid your property of these insects. There are several Colorado Springs pest control companies to choose from, however Hank our expert in stinging insect removal is simply the best at pest control. The Fleas rear legs are amazing at what they can do. The muscles are strong giving them maximum jumping abilities. Hairs, facing to the rear and claw-like feet help the flea catch its target and hold on to it. 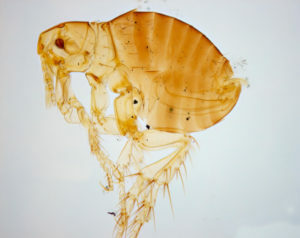 A flea, specially designed in such a way that it can locate its host, maneuver the body of the host, and feed, in a way, that supplies its own needs. Unfortunately, their host is our beloved animals, and one flea can bite them several times an hour, desensitizing the area long enough to have its blood meal. Why-U-Buggin Pest Control uses pest control flea products designed to wipe them out of your home. However, you must have your animal treated to insure lasting results. Ticks are almost exclusively a parasite of dogs but nevertheless is annoying and frightening to homeowners because it often can be seen on walls and furnishings if the dog has become infected. 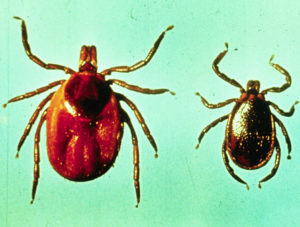 It seldom feeds on humans; however, it can and is considered a potential vector for the rocky mountain spotted fever. Why-U-Buggin Pest Control sprays the interior and exterior of your home to control the ticks, and if you have animals and live near the woods, we recommend going on a pest control management program. Whether you are in Colorado Springs or Pueblo, we have a pest control service for ticks, and all other pests in Colorado. Scorpions are poisonous; they feed on other insects and spiders and are active at night, hiding during the day under stones and tree bark. They only enter structures in search of food and water. 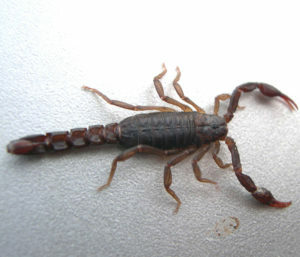 Most species of Scorpions are not dangerous, and they’re sting is comparable to a wasp. Control of scorpions consists of using pesticides, granular and dust pest control products. Give Us A Call... We'll Get 'EM All. We service Colorado Springs, Fountain, Falcon, Peyton, Calhan, Elbert, Black Forest, Monument, Palmer Lake, Larkspur, Woodland Park, Pueblo West and Pueblo.